What is the MapleStory M game? Welcome to MapleStory M game, the original side-scrolling MMORPG (Multi Massive Online Role Playing Game) where epic adventure, action and good friends await you. MapleStory M is the moible game, which game players can enjoy MapleStory M on iOS & Android devices. With hundreds of hours of gameplay, this immersive role-playing experience will allow you to unleash your wild side as you create and train a mighty hero, conquer perilous dungeons, overcome terrifying bosses, socialize with your friends and much more. 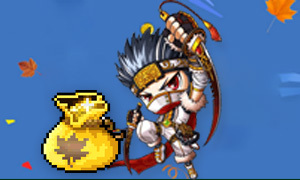 Your MapleStory M begins today! Where is the trustworthy transaction platform of Maple Story M Mesos? Joymmo.com is the best Maple Story M Mesos store, which 9 years'Exp of MapleStory Mesos and MapleStory items business we worked on. As the premium Maple Story M games currency supplier in the world, we will provide more cheap Maple Story M Mesos service to customers to win the trust in the heart. Besides, free guide to teach players how to get Maple Story M Mesos quickly. Hereby, you should have a try on the most popular Nexon 2D mobile game MapleStory M.